Dr. Patrick Farrell completed his pre-med undergraduate studies at the University of Pittsburgh and St Vincent’s College in PA. He attained his Doctor of Chiropractic degree from the National College of Chiropractic in 1994. He went on to complete a radiology residency at National College of Chiropractic and obtained his Diplomate status in 1997. 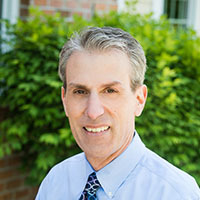 In addition to private practice in Pennsylvania and Maryland, he has served as a faculty member at both the National College of Chiropractic and New York Chiropractic College. Dr. Farrell also maintains a private radiology consultation practice. He is a lifelong learner, who has published articles on diagnostic imaging and rehabilitation and is often invited to lecture for continuing education seminars for doctors in the region. 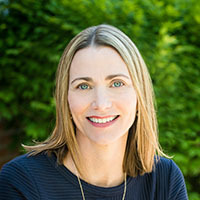 Dr. Farrell has a special interest in the diagnosis and treatment of injuries, both for athletes with sports injuries who require one-on-one customized training and for non-athletes, who want to learn how to stabilize and strengthen to prevent nagging or recurring conditions. He is a great teacher and supports his patients fully throughout their care. Dr. Farrell lives in New Market along with his wife, Dr. Stacey Lenisa, and their daughter, Renata.